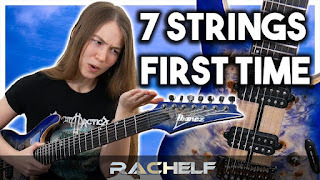 Rachelf: Playing 7 String Guitar for the First Time! Start uploading your music with a discounted DistroKid membership here! Playing 7 String Guitar for the First Time!